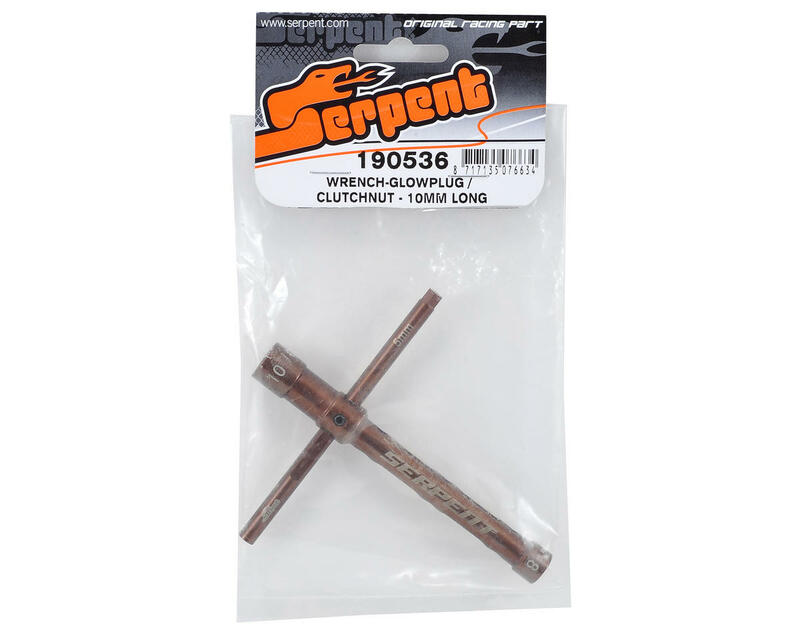 This is a Serpent Glow Plug/Clutch Nut Wrench. This wrench features a 3-in-1 design with an 8mm wrench on one end that can be used for glow plug installation and removal, and a 10mm wrench on the opposite end that is perfect for installing and removing clutch nuts. 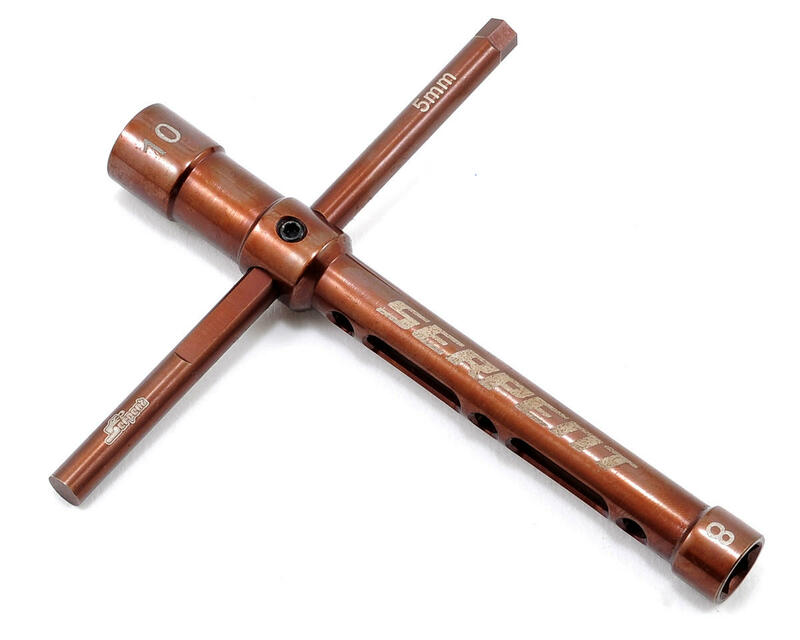 The T-Bar has a 5mm hex tip on the side, making this tool useful for a variety of applications.